If there is a discussion about standard layout for kitchens then this is the segment which comes to work around. The L Shape modular Kitchen interior design is one of the popular and versatile design to install appliances. This is the design where you can get separate work area’s / segments as per your need. 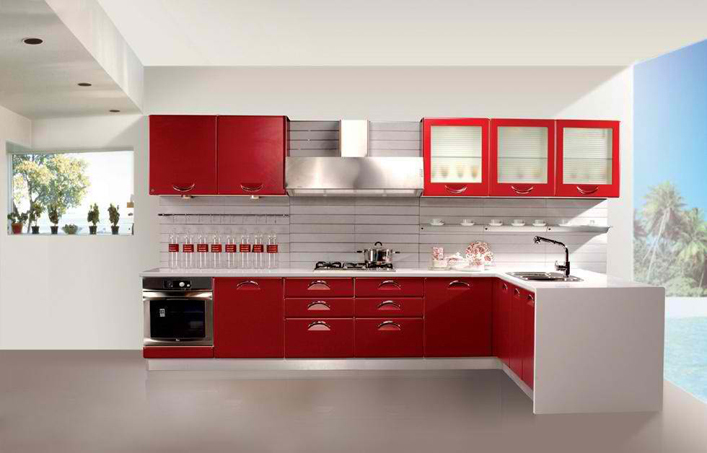 L Shaped Modular Kitchen Interior Design is the one in which two adjacent walls perpendicular to each other. Magic Corner Unit, Fit to every Size, Availability of eating Space are the specialty of L shape Modular Kitchens.